Newcomer Family Obituaries - Vera Zelyn 'Nanny' Peterson 1925 - 2019 - Newcomer Cremations, Funerals & Receptions. Vera Zelyn Peterson, 93, of Denver, CO made her transition, Wednesday January 30, 2019. She was born to the late Charley and Beatrice Beckley, December 4, 1925 in Pontotoc, Mississippi. Vera graduated from M.I. College with a Bachelors of Science in Holly Springs, Mississippi. Vera served in many places, school teacher, cafeteria manager, Senior Companion (MIFA) and as a Hospice Caregiver. 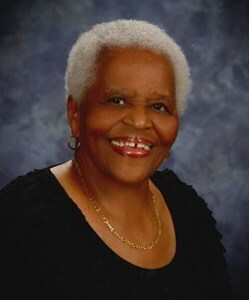 Vera was a member of St. Augustine Catholic Church in Memphis, Tennessee. Vera is survived by two children, Clydene Smith of Denver and Kenneth M. Peterson of Nashville, TN. She is also survived by six grandchildren; eight great-grandchildren and three great-great-grandchildren. She is preceded in death by her parents, Charley and Beatrice Beckley and three siblings. In lieu of flowers, the family is requesting donations be made to "Autism Speaks." A Memorial Mass will be held at 2pm on Friday, February 15, 2019 at St. Augustine Catholic Church, 1169 Kerr Ave, Memphis, TN 38106. Memorial Services will also be held at 3pm Sat. Feb. 23, 2019 at New Dawn Spiritual Center, 3138 S. Parker Rd. Aurora, CO 80014. To share a memory of Vera or leave a special condolence message for her family, please click the Share Memories button above. Add your memories to the guest book of Vera Peterson. May your Angel guide you gently to the other side, May you be greeted by all your loved ones that have passed, May your family rejoice in memories of you. Everyone at the Center will miss you terribly, thanks for being you!!! Oh what a beautiful person Vera was. I can’t believe she no longer graces the earth with her infectious smile and oh so beautiful heart! She always told me things she observered on how I treated others. She always made me feel proud of who I had chosen to be. I so enjoyed my time spent with Vera when I worked for InnovAge in recreation. We did many hours of crafts and games together. I know all your hearts are lost without her beautiful soul here among us. I can guarantee she is spinning her love and kindness on her new journey to everyone! I am grateful for being allowed to have been a part of her journey and hers of mine. I will always love you Vera! Thank you for your unconditional love! With sincere sympathy for your loss. Your family is in our prayers. Ms. Vera was a joy to know and I especially loved her sense of humor. My deepest sympathy and all of you are in my thoughts and prayers. Your presence have departed from us, but Your Love and Ever Present Smile shall never be removed from our Hearts. For those Boys that spent time with you during the summer in Memphis asking "Do dinner time ever come in Memphis" shall never forget those times spent with their Aunt Vera. And thanks be to GOD for Family & Thanksgiving get togethers. The Beckley Boys & Mom. I have loved knowing you Vera. I am so grateful for the times our families have spent together. I'll always cherish the memories.